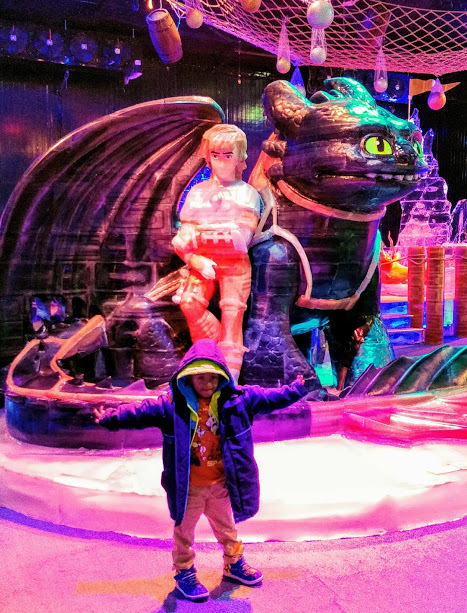 Kung Fu Panda Adventure Ice World is an Ice sculpture exhibition created by a world-class Ice sculpture artists from Harbin, carved out of thousands of colorful ice cubes. Along with the primary attraction Kung Fu Panda there are other famous animations from DreamWorks such as Madagascar, Shrek, Dragon Master and Magic Elf. First of all, I have to tell you that the world of Ice is not allowed for children under the age of 1, because the real world of ice and snow is really too cold! In the entrance, we can see the penguins sitting on the arch Dora, going inside you can see Shrek; it seems to be like walking into the animated world, Shrek and Princess Fionna, and their lovely children. Even donkeys, boots and cats, dragons… all have, really so….Good! 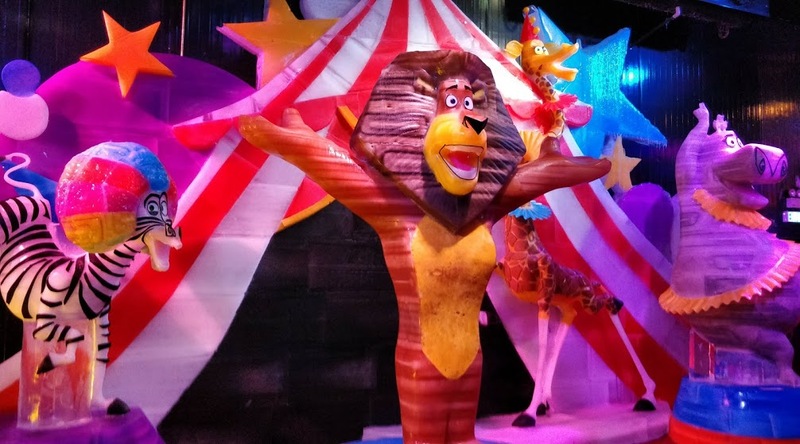 After moving further, you can come across Madagascar animation characters such as King Julien, Maurice, Mort, Alex, Marty, Melman, Gloria, and others. There are ice chair thrones, so you can sit and take photos to experience the feeling of the jungle king. 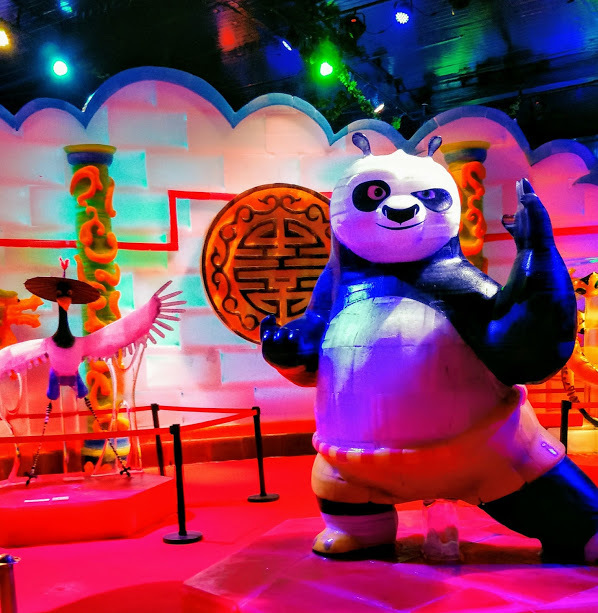 Next walking into the Kung Fu Panda’s frozen Jade Palace is very exciting; there are some adventure games to participate. Games like Rows of Slides make people addicted to playing. 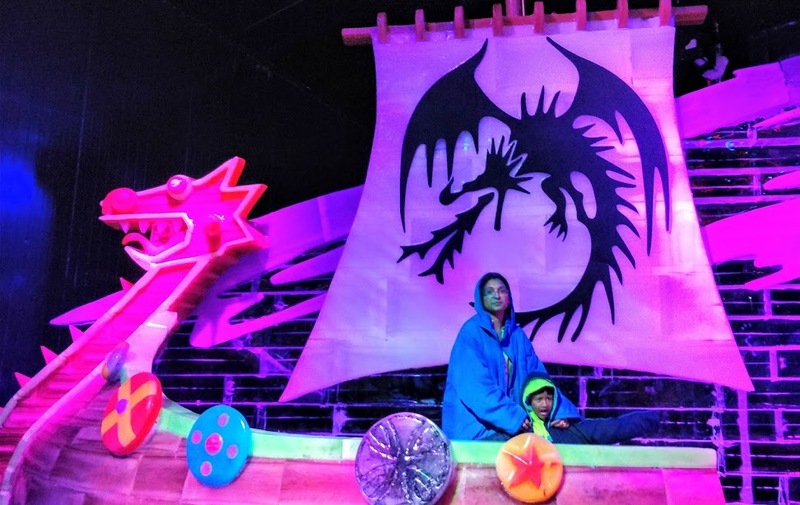 The ice sculptures here is very vivid and different from the monochromatic ice sculptures that we have seen before, and the expression of the ice sculptures is lifelike, the cartoon is 2D, and the live ice sculpture is 3D. 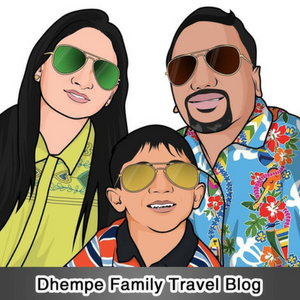 The cartoon characters are really eye-catching. If I think about it, it seems that I haven’t been as happy as a child for a long time. The things we get are getting better and better, but the innocence and the ability to experience joy are diminishing, and how hopeful it is to pick up innocence more profoundly. 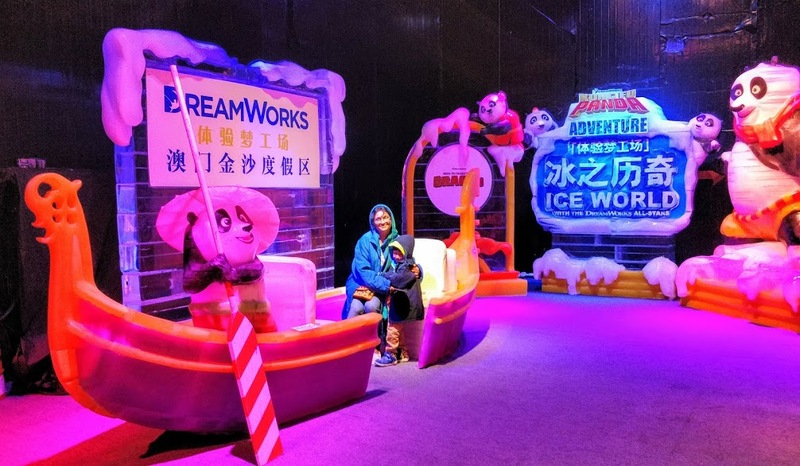 This Kungfu Panda Adventure Ice World experience brought the child out of me, and I was lucky to find a way to spend my last holiday.